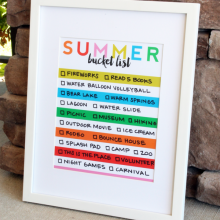 This chore chart allows your child to be responsible for accomplishing their own list of extra chores each week. Your child can pick which chore he/she wishes to do each day–knowing that all chores must be accomplished by the end of the week. Your child can move chore from “need to be done” side of chore chart to “done” side when the chore is complete. 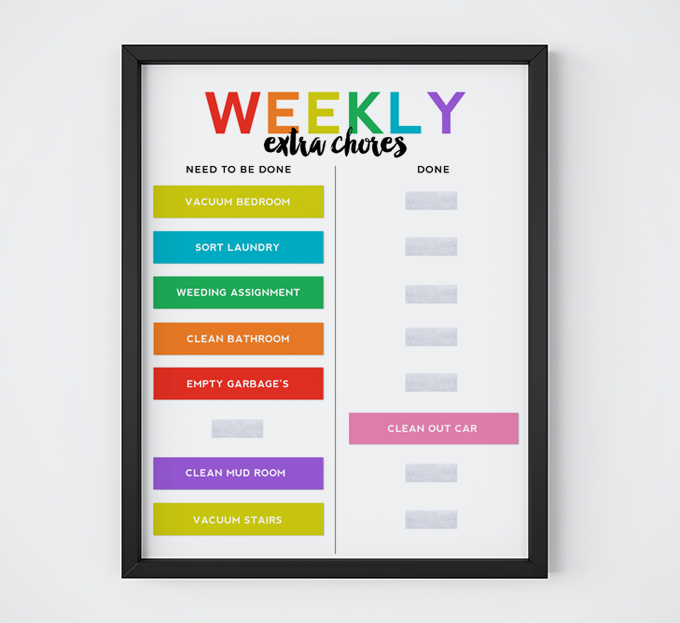 This printable chore chart is designed to be printed on 8.5 x 11″ paper. 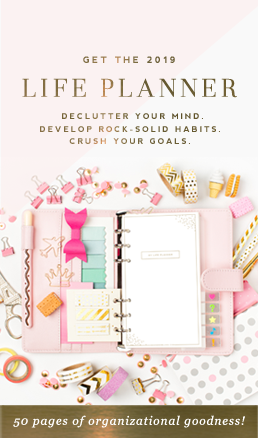 Cut out only the chores you wish to use. 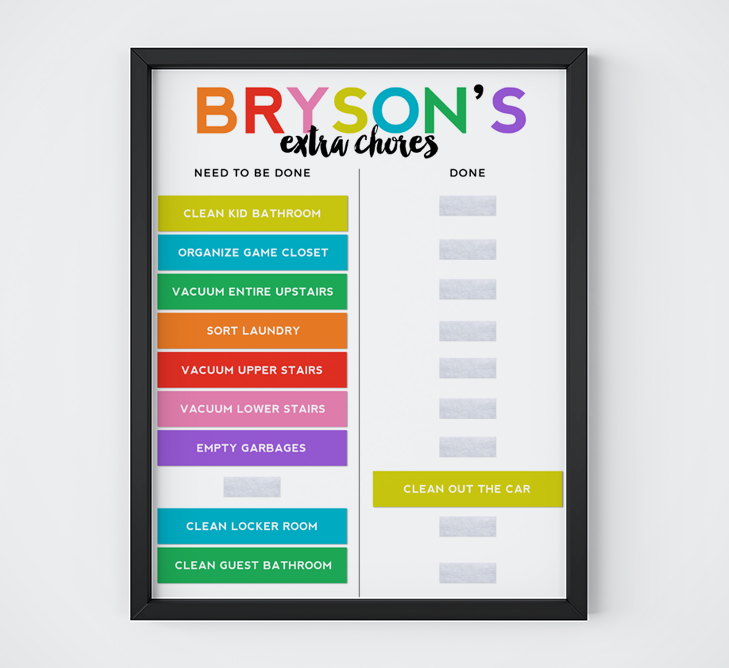 Chart can hold up to 10 chores. 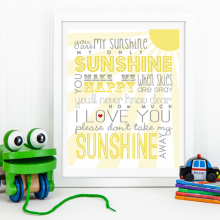 Place chart behind glass of a picture frame OR hard laminate chart. Cut out chores first and then hard laminate them leaving space as you put them through the laminator so each can be cut out. Place Velcro strips down each column for the number of chores you’d like displayed. 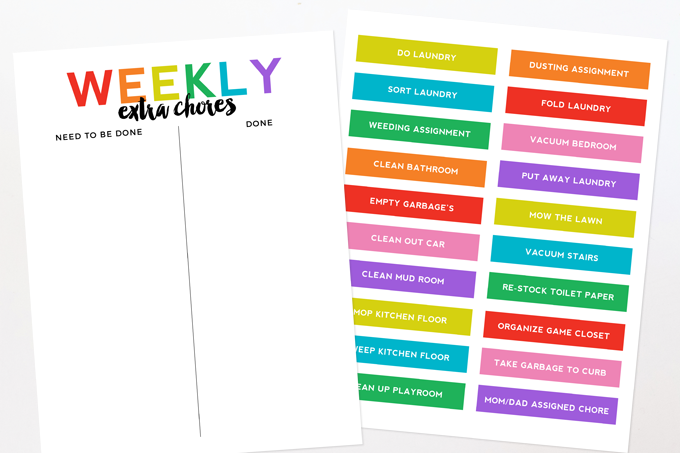 Place Velcro on backs of each individual chore so chores can be attached to chart. Note: works best if soft side of Velcro is placed down both columns of chart and rough side of Velcro is placed on backs of individual chores.